Do You Want to Buy a Spanish Fork Utah Bank Repo? Are you looking for a Spanish Fork Utah Bank Repo? Paul Teasdale of Team Teasdale Realty has been selling Bank Repos in Spanish Fork Utah since 1995. Hire a Realtor that is familiar with how to buy a bank foreclosure. Some of the typical bank repos you will find in Spanish Fork Utah are from HUD, Fannie Mae, Freddie Mac and various national and local banks. What is a Spanish Fork Utah Bank Repo? Remarks: This is NOT a short sale or bank owned. This is a great house that has never been lived in. 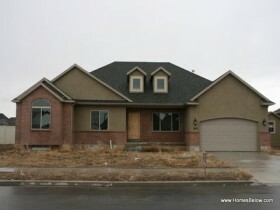 Granite tops, walk in closets, stone stucco exterior. Open floor plan with 9' ceilings top to bottom. House is almost 5,000 sq. ft. Owner/Agent.